This product was developed specifically with racing in mind & to address the shortcomings of many kits on the market. Using a standard front crank seal meant a thicker section on the lower pulley preventing the pulley from splitting along keyway (quite common). The crank seal now fits in it's own adjustable carrier to enable perfect alignment of both seals. Using a unidirectional primary gear seal for the top pully means cheap & plentiful replacements. Infinitely variable top gear is made in 3 pieces. This has benefit that the six 8mm coutersunk screws do not have to clamp the sliding gear on tiny contact points & crush the contact area. Inner & outer gear wheels are manufactured from 7075 aerospace grade aluminium ( outer gears are hard anodised to extend durability ) & clamping ring is steel to ensure long life of threads. The top gear features a vernier scale to make easy & accurate timing adjustments. 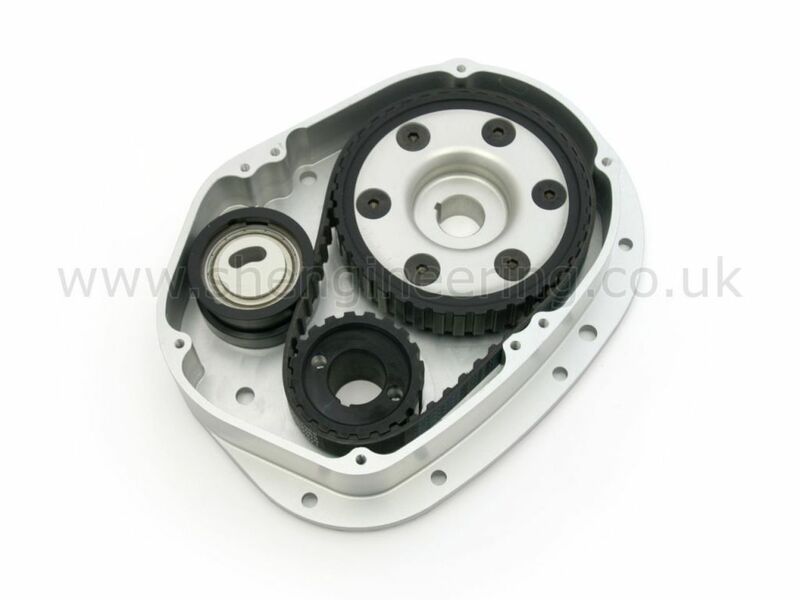 The kit is fitted with a high quality double row bearing belt tensioner. This takes up any backlash that may occur. A must if steel main caps have been fitted as during the cap honing process the crank effectively moves closer to the cam creating excessive play in any cam drive. The tensioner is made from 7075 grade aluminium. The tensioner also performs the role of belt guide. This makes it easier to fit belt with gears already on. A one piece billet base housing is super rigid & looks great too (no rough castings). 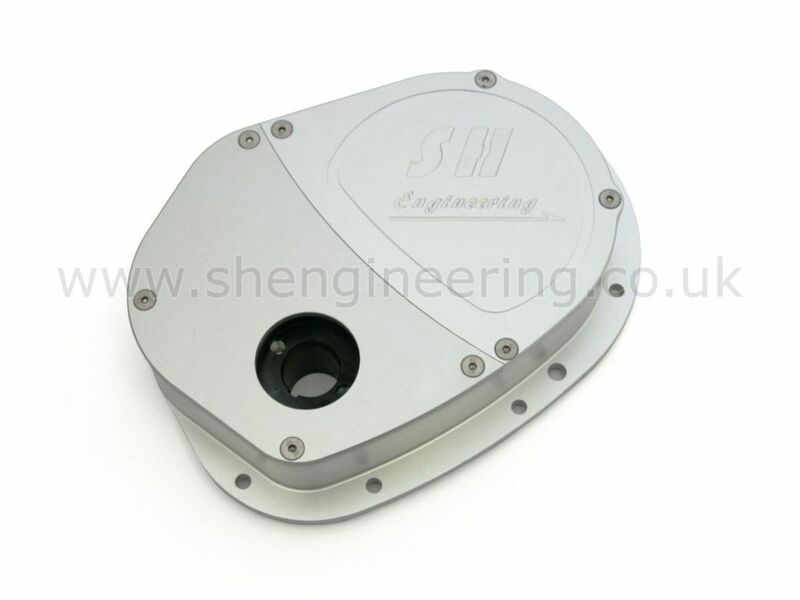 The 2 piece lid enables cam timing adjustment in situ without having to remove crank pulley (as with one piece covers). 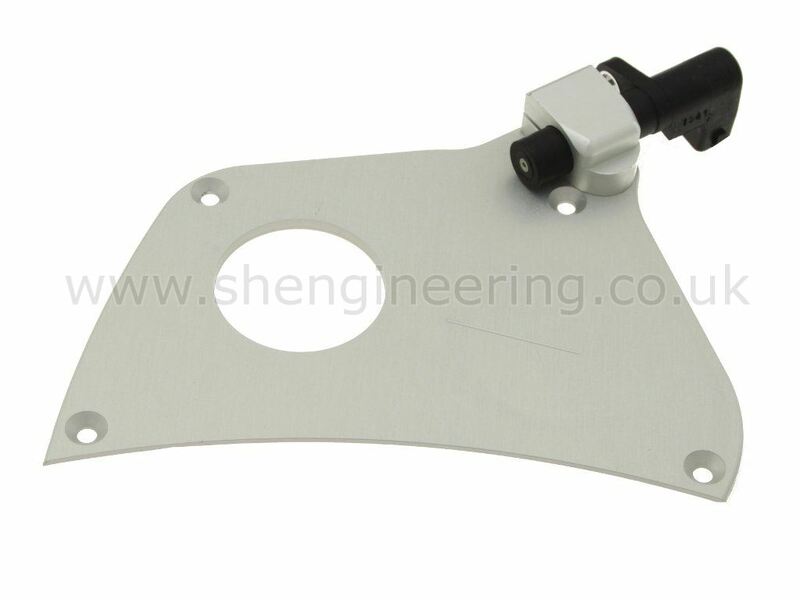 A lid with integral crank position sensor bracket is also available. Combines perfectly with SH crank damper fitted with ignition trigger wheel (see crank damper details). 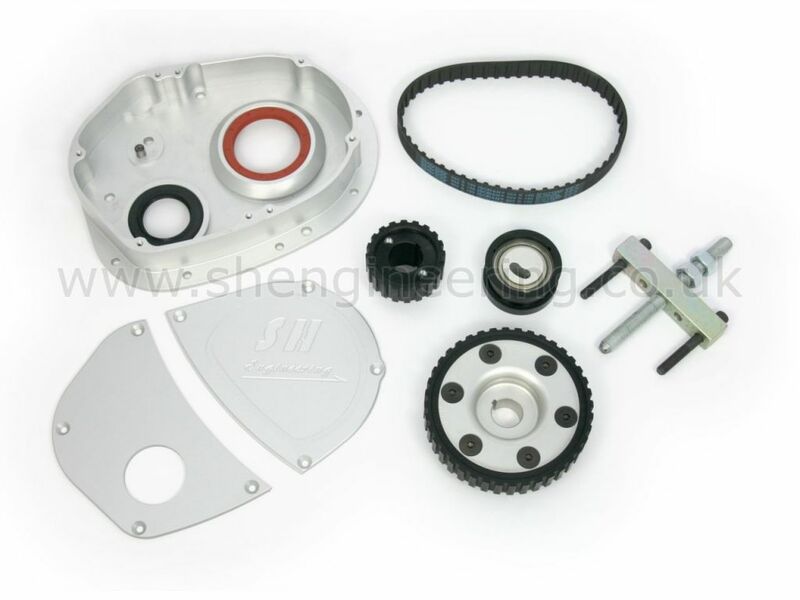 Kit comes complete with all fixings, gasket/seals & belt. These kits were designed to be the best, not the cheapest. These kits have now been in use for 15 years & race proven to be the ultimate cam drive. Replacement belts exclusively designed by Gates for this application £32.